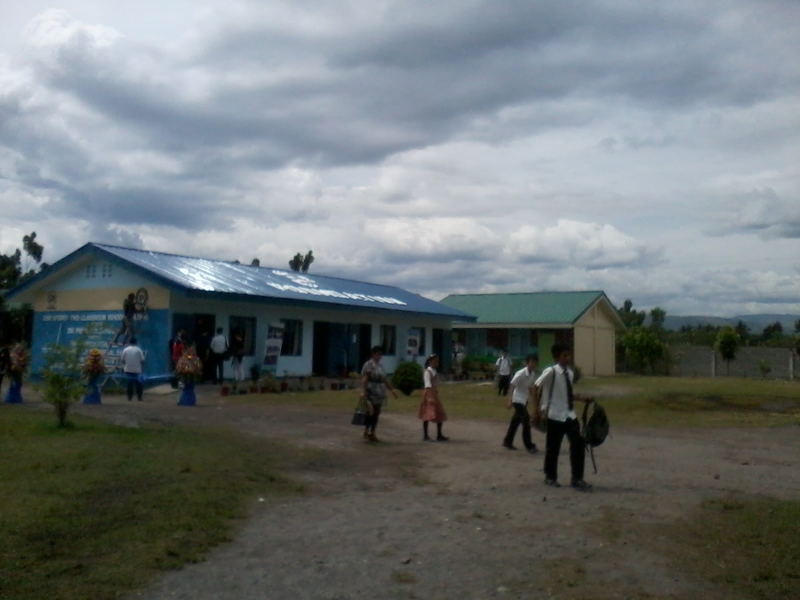 Last February 21 and 22, 2012, a back-to-back school building turnover happened at GSC SPED Integrated Campus and Banisil National High school respectively. This one of a kind event was initiated by SM Prime Holdings Inc., SM Foundation Inc. and BDO. SM Prime Holdings Inc. is the Philippine's largest mall operator which owns and runs world-class malls all over the country, providing millions of square meters of floor area for a fully integrated shopping, dining, and entertainment experience. 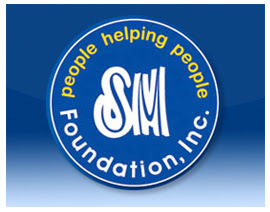 SM Foundation Incorporated is the socio-civic arm of the SM Group of Companies through which it helps the less fortunate in the community it serves. The Foundation has four areas of advocacy namely Education through Scholarship Programs and donations of School Houses; Mall-based Outreach Programs; Health-oriented Projects like Medical Missions, Mobile Clinic and Hospital Activity Centers; and Religious Community Projects. Banco de Oro (BDO) is among the country's top five banks in terms of resources. It is a full-service universal bank providing a wide range of corporate, commercial, retail and investment banking services through its 717 branches in key business and commercial areas, nationwide. It is one of arm of SM Investments Corporation in the field of Banking and Finance along with China Bank. The first turnover ceremony happened last February 21, 2012, 2:00 pm at the Campus Ground of SPED Integrated School located at Barangay San Isidro, General Santos City. This One-storey, Two-classroom building complete with functional facilities such as Comfort Room, Wall Fans, Arm Chairs, Blackboards and the like was solely donated by SM Prime Holdings Incorporated thru SM Foundation Inc. 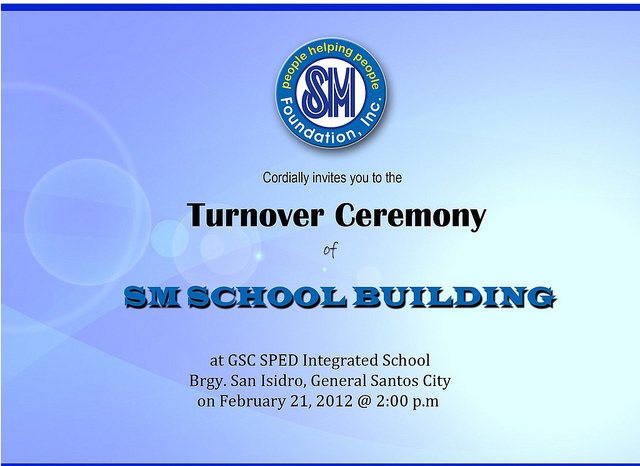 Here are some snapshots during the turnover ceremony at GSC SPED Integrated School. Selected GSC SPED Students showcasing their best moves in dancing. SM Prime and SM Foundation also donated books during the turnover ceremony. Although it rained on the first part of the program, the Turnover Ceremony went well. It is just a great feeling to see the smiles of the students and their teachers. Such scene is just priceless. The Second Turnover Ceremony happened on February 22, 2012, 10 AM, at Banisil National High School, Barangay Tambler, General Santos City. 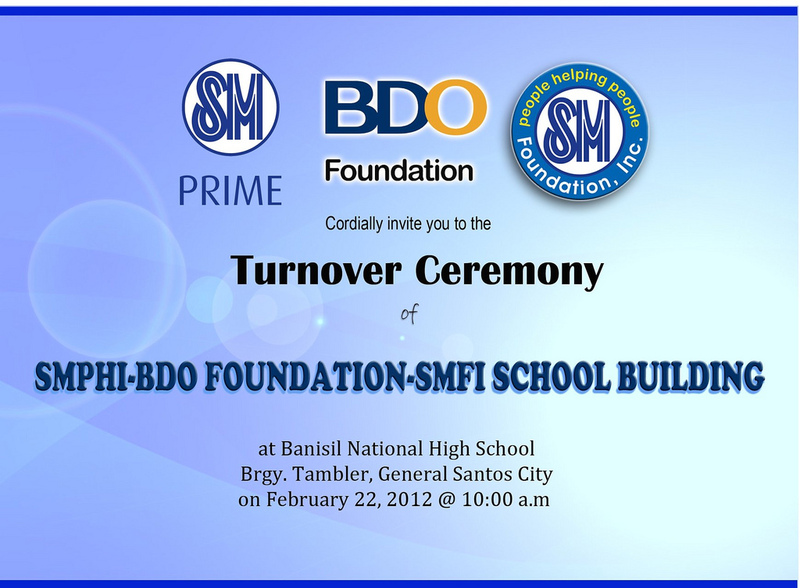 The second turnover was initiated by SM Prime through SM Foundation Inc. and this time in partnership with one of SM's Banking and Finance Arm, BDO. 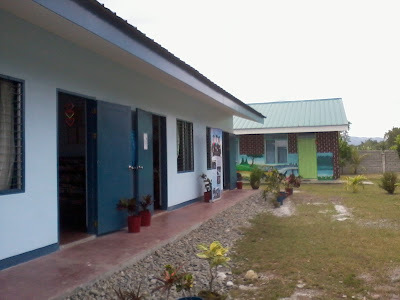 The three giant entities donated a one-storey, four-classroom building complete with functional acilities such as Comfort Room, Wall Fans, Arm Chairs, Blackboards and the like. 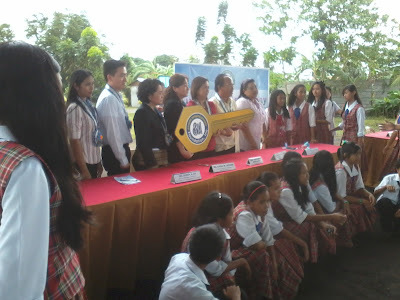 Here are some snapshots during the turnover ceremony at Banisil National Highschool. SM VIPs and BDO Executives. 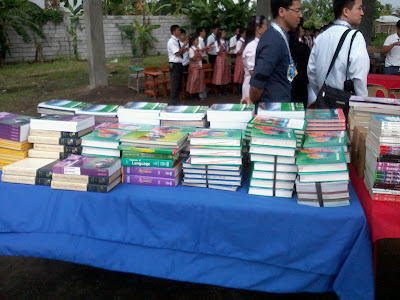 The Back-to-Back School Building Turnover and Book Donations last February 21-22, 2012 is just the beginning of the activation of SM Foundation here in General Santos City. As the years go by, SM Supermalls will live by its Corporate Social Responsibility in helping out the community it serves. And with the entry of SM City General Santos this 2nd Quarter 2012, more schools, more individuals and more communities will benefit from SM's Projects and Campaigns.